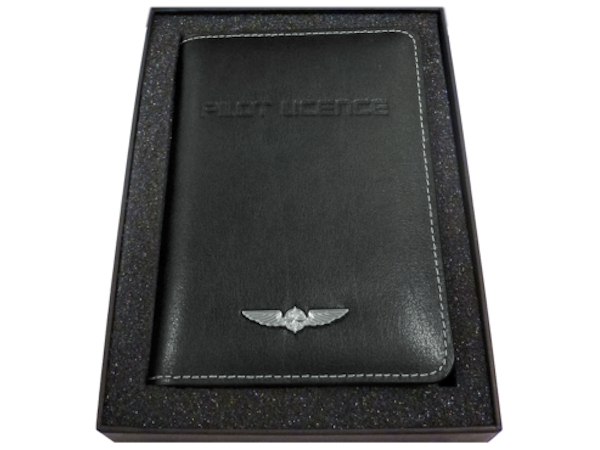 This elegant licence cover is made of high quality eco-friendly leather with embossed logo and a silver metal wing on the front. 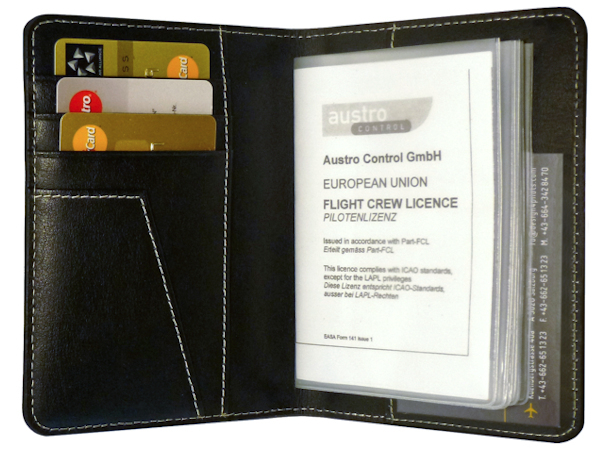 The licence cover is equipped with RFID protection. Inside there are six plastic pockets for pilot licence, medical etc. Three further pockets for credit cards, one for a business card, another one for paper and the embossed PILOT®-logo.